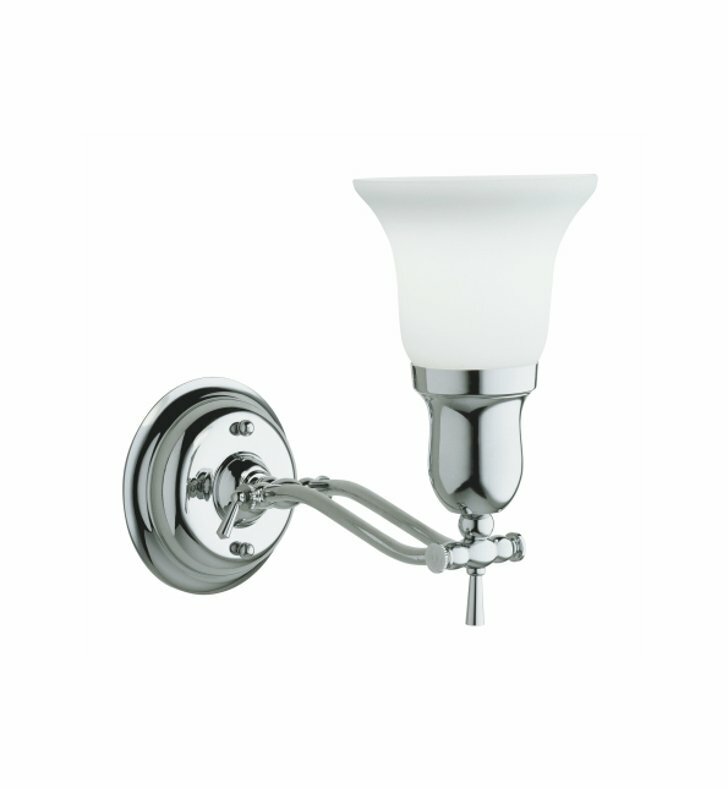 Features a soft white, frosted glass shade. Can be positioned upward or downward. Uses medium-base incandescent bulb. UL listed for damp locations. Bulb sold separately. Dimensions: W 5" x H 9 1/2" x D 12"